Clients are coming to you because they have a problem that needs to be solved, and most commonly, that problem has to do with their skin. Maybe their skin is too dry, too tight, sagging or wrinkled, but whatever the issue is, they are hoping that you’ll be able to correct it. You can’t correct an issue that you haven’t properly diagnosed. That’s why so many are using innovative devices like a skin analyzer during the diagnosis phase of treatment. This allows the therapists and doctors to narrow in on the root cause of the issues in the skin and provide clients with a comprehensive, customized treatment plan that addressed their concerns and helps them meet their skin care goals. In many cases, the use of a skin analyzer can help speed up the treatment process, meaning clients are seeing results in the mirror much sooner. That kind of speed and those successful results are sure to make your current clients happy. The even better news for your business is that happy clients are much more likely to refer their friends and family to your med spa, too. You don’t have to simply hope for those referrals, though. There are a number of ways you can put your skin analyzer to work increasing your referral numbers and bringing in more new clients to your business. Offer new clients a free analysis of their skin to help them discover what’s happening on a microscopic level and how your treatments can help correct it. Giving this service away to referred customers for free means you’ll have more opportunities to show them what you can do for their skin. If you are reluctant to give the service away for free, consider discounting it deeply to get people through the door. Give your current clients incentives for referring new clients to your skin analysis services. Consider giving perks like a free skin care treatment after a certain number of referrals. People like to be rewarded for their efforts, and by giving them a reason to encourage their friends and family to try your skin analysis services they are much more likely to spread the word. You need to make sure that people know that you are equipped with the latest technology. Provide current clients with information about your skin analysis services that they can share with their friends and family easily. People are wowed by technology, so make sure they know that your spa is at the forefront and ready to help them. Are You Equipped With the Tech Your Clients Need? 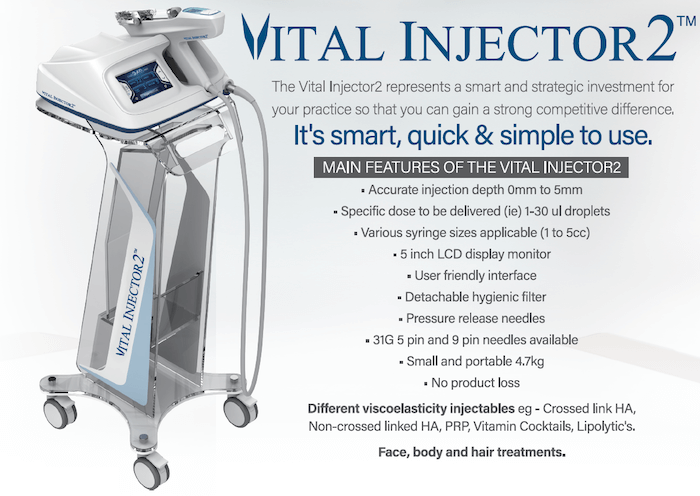 Clients are demanding the latest treatments, technologies, and innovations from their medical spas. Make sure you have what they want by investing in the best high-quality analysis tools. Place an order for your skin, hair, and scalp analyzers through our website today and bring this referral-driving tech to your business today. Engineered with unparalleled hygiene-centric system – detachable single-use filter. Praised for accurately adjusted depth control, powered by vacuum assisted technology. Reduced drug-loss during injection procedure. Improved operational efficiency. By needling on the underlying skin tissue in short treatment times, it achieves more effective drug delivery through electro-stimulating micro-pores that provides less discomfort to the patient. Skintronics was established in 2012. 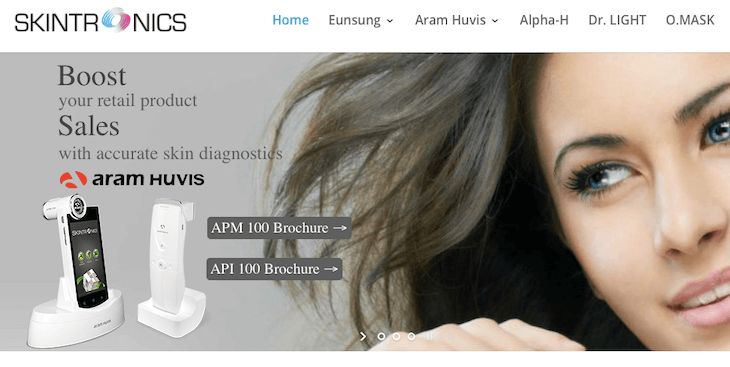 It started off with the distribution of an Australian iconic skincare brand, Alpha-H In 2015, Skintronics added Aram Huvis Advanced skin diagnostic devices to their portfolio. 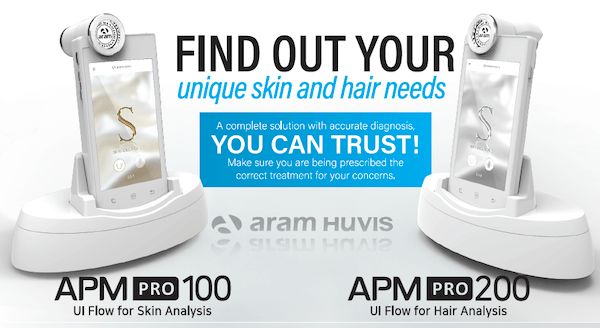 It is one of the first smart devices available in South Africa, offering a simple accurate skin analysis. The newest products to our portfolio are from Eunsung, who are an innovative medical aesthetic equipment company which was established in 1995. 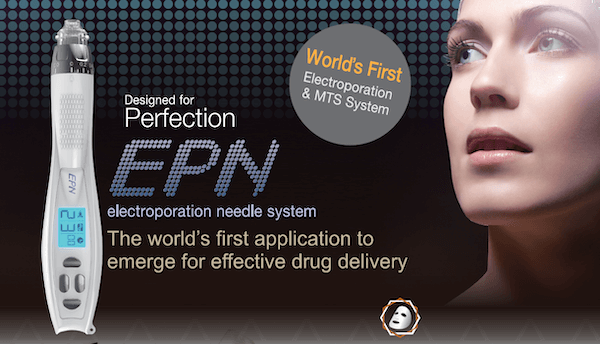 We’ve partnered with Eunsung to distribute their well known Vital Injector2 and the EPN Electroporation Needle System.